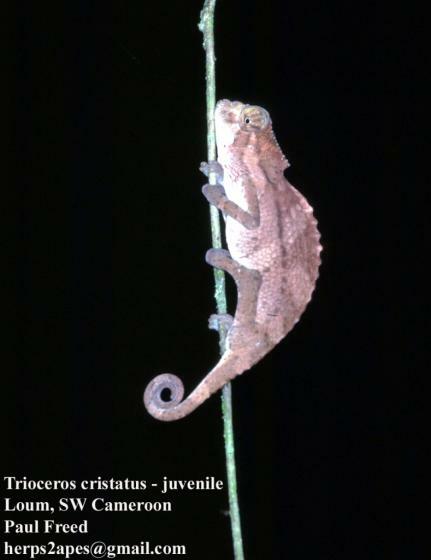 Can you confirm these amateur observations of Trioceros cristatus? 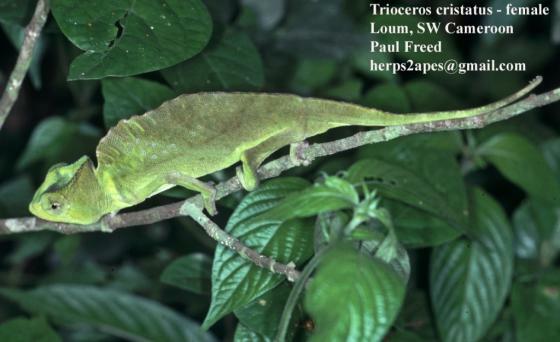 Types Holotype: BMAG (also cited as CBMAG) A715; presumed lost (fide KLAVER & BOHME 1992: 446, Glaw 2015). Comment The author, Samuel Stutchbury, was a curator at the museum of the Bristol Institution for the Advancement of Science, Literature and the Arts from 1831 to 1850 (Crane 1983).